If you aren’t a parent with small children, you may have missed that Disney’s Christopher Robin was released in theaters earlier this month. I admit that if my boys hadn’t been begging to see the film all summer, I might have let it slip my mind. You also might not think it’s a film that needs to be seen in theaters. I get that too. But I think you should see Christopher Robin on the big screen and I’ll tell you why. 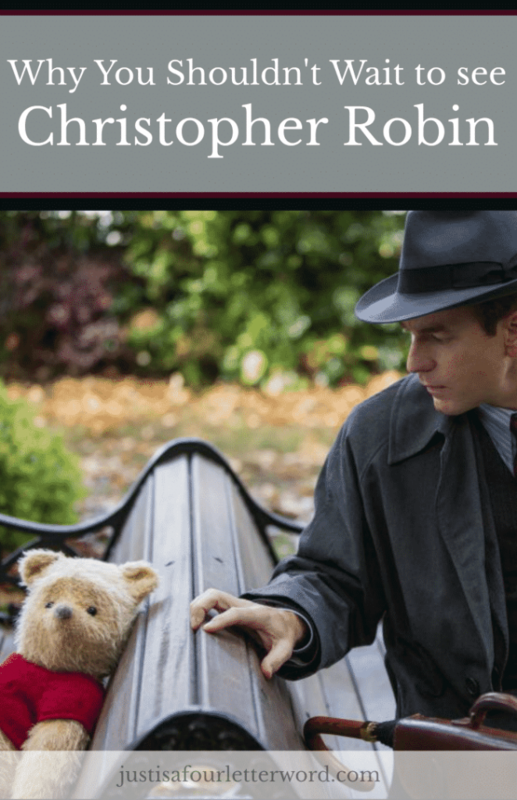 At a glance, Christopher Robin seems like just another chapter in a long line of Winnie the Pooh stories for kids. But from the moment the film began, I knew this movie was so much more than a fun children’s story. It was a love letter to all the fans who have fallen for that silly old bear in the nearly 100 years since the first book went to print in 1926. 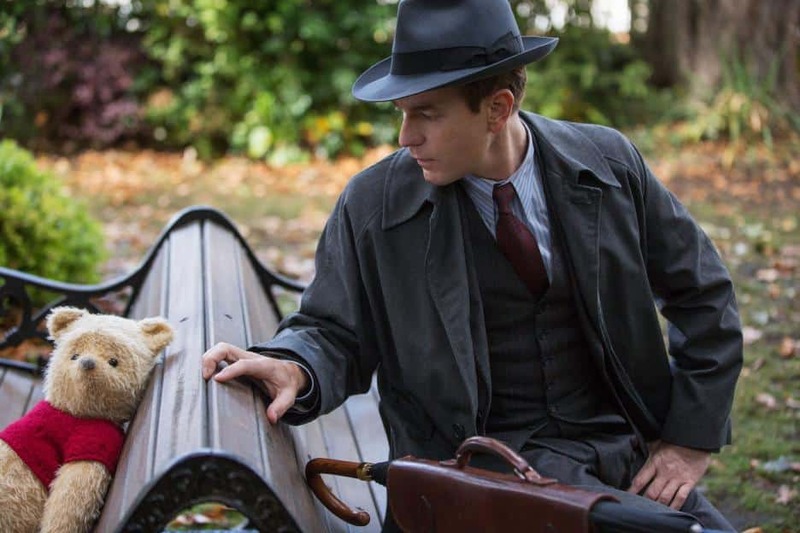 Not only do I think Christopher Robin is the sweetest movie of 2018, it’s a must-see on the big screen. Yes really, even without explosions. You might be tempted to wait and watch this one at home, but if you ask me, Christopher Robin deserves his time on the big screen. The story wraps you up like a warm blanket and seeing the gang larger than life was a big part of the whole experience that for me was really beautiful. 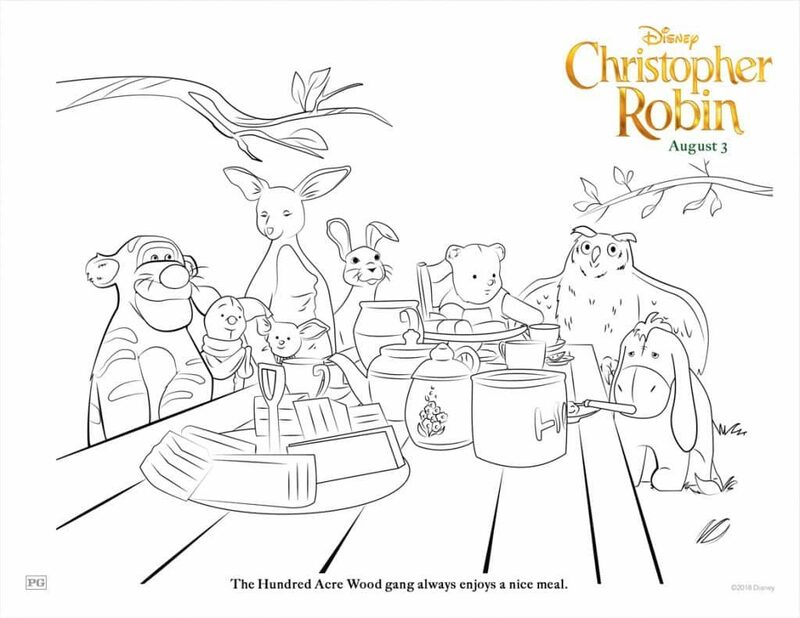 Ewan McGregor plays his role perfectly, the graphics and colors were unique and incredible without being distracting, and there wasn’t a moment that I didn’t believe Pooh was anything other than 100% real. 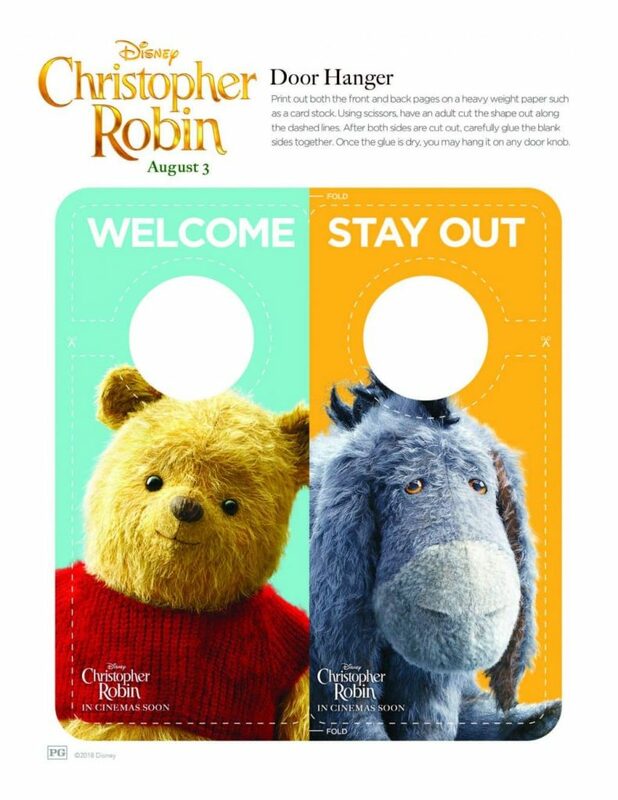 But the main reason I think you should see Christopher Robin now rather than later is because the message in this movie is what we all need right now. And we need to see it and hear it and feel it in the biggest way possible. 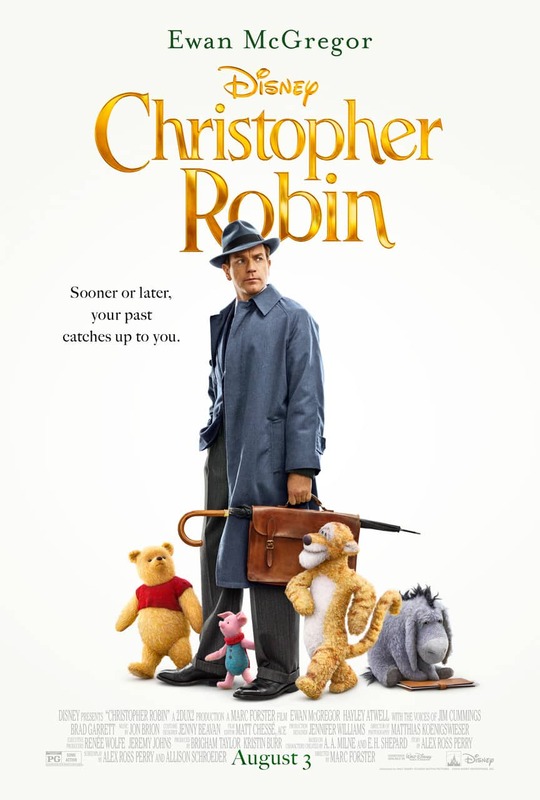 Official Synopsis: In Disney’s heartwarming live action adventure, the young boy who shared countless adventures with his stuffed animal friends in the Hundred Acre Wood has grown up and lost sight of what’s important in life. 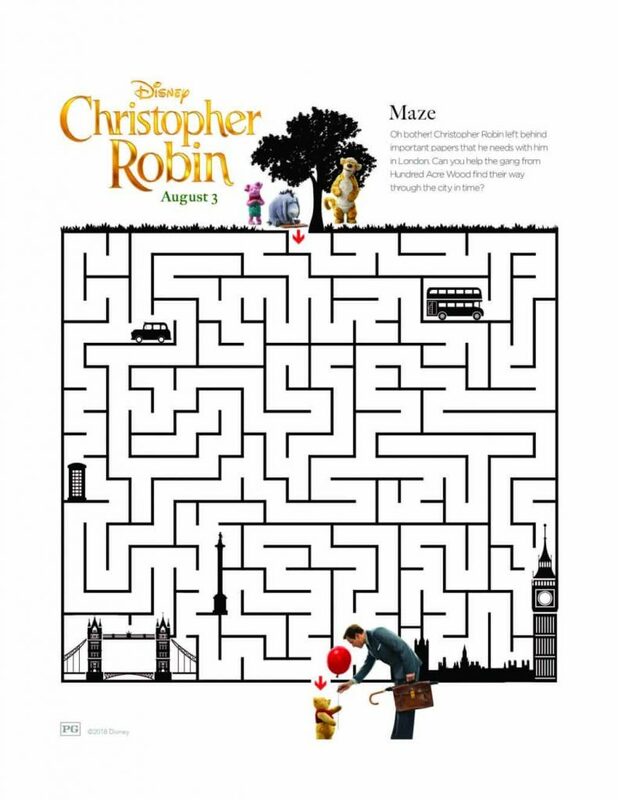 Now it is up to his childhood friends to venture into our world and help Christopher Robin rediscover the joys of family life, the value of friendship and to appreciate the simple pleasure in life once again. Through the first few minutes of the movie, we see Christopher Robin grow up and face some hard things. He has to learn how to be an adult and make grown up choices. He works hard and becomes a responsible adult. He provides for his family. In those moments, I felt my own loss of innocence bubble up. I was in tears almost immediately and stayed on the brink throughout the whole movie. The tears weren’t sadness alone but a soft familiarity, an understanding of how easily our dreams can be sidetracked and sometimes even silenced by reality. And then there is Winnie the Pooh, voiced by Jim Cummings, who has been the heart and soul of Pooh since 1988, he is also the one with the best lines in the movie. Pooh is both child and father figure throughout the film and his words bring the biggest smiles and the sweetest tears. In fact, all of the characters we know and love were wonderful and not silly at all. They each perfectly embodied a different side of humanity from anxious to nurturing to curious to somber. I’ve never loved them more. After the movie, my boys remarked how they thought Christopher Robin wasn’t a very good dad at first because he didn’t take time to play with his daughter. We talked a lot about responsibility and how sometimes we think we are showing love by doing things and working hard but that it’s also important to make time for play and imagination and togetherness. I also told them that I did believe he was a good father, but still had to learn how to show his love in a way others could see it. It’s a lesson I think we all need to hear over and over. What we say is important for sure, but even more so, we need to learn each other’s language so they are feeling the love we’re trying to express. The boys then mentioned how they are so glad they have a daddy who plays with them and snuggles them and reads to them. And y’all, I was a mess. I don’t know how else to describe it. I mean when is the last time you left a movie just loving each other and talking about how much your family means to you? Whoever your people are, this movie will remind you to love them well and that’s a message I can get behind 100%. 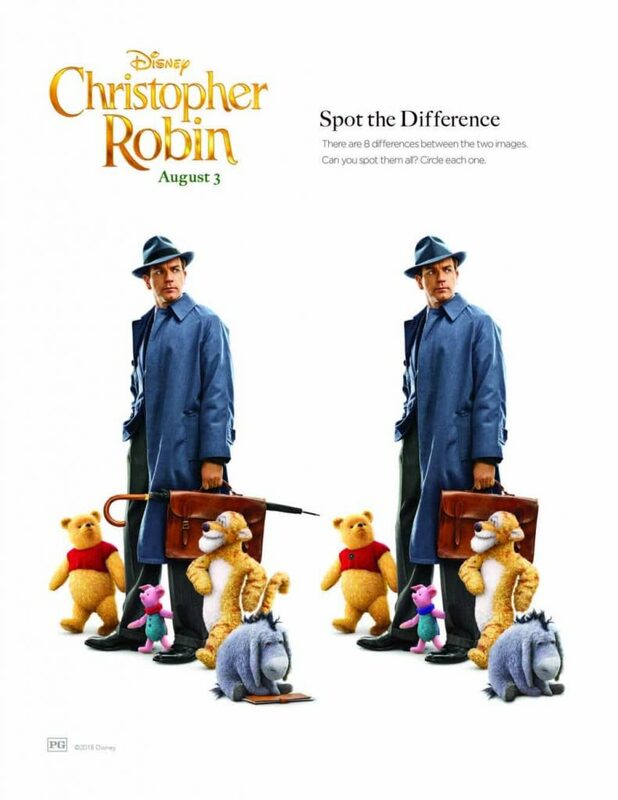 This is why Christopher Robin is a must see right now kind of movie. School is starting and fall sports are ramping up. The holidays will surely be busy and many of us will be working more in order to take some time off later. Now is the time to connect, get grounded and move forward as team family. Go see Christopher Robin together, get some ice cream after and take a few minutes to love your very best people. You won’t be sorry. I don’t know about you, but I’m ready to go out and buy my own Winnie the Pooh and all of his friends. 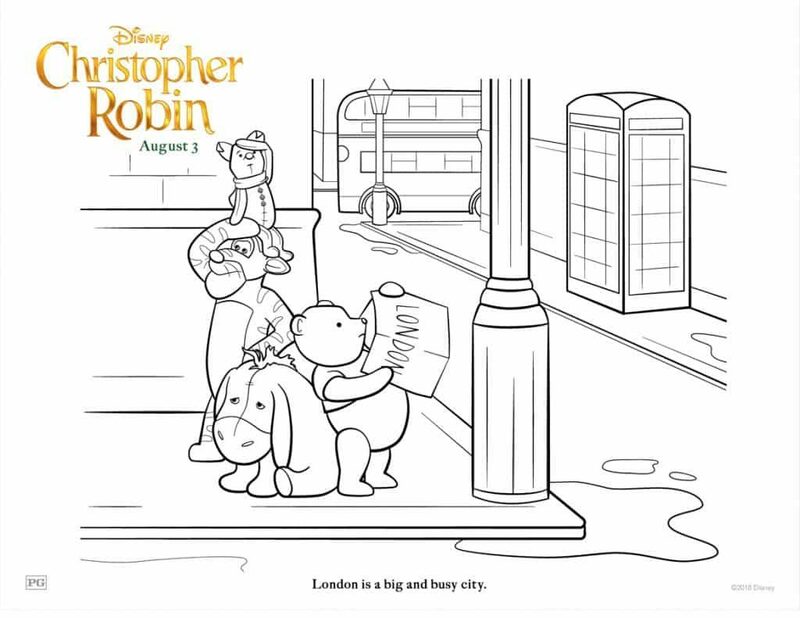 But in the meantime, I love that Disney created these free printable coloring and activity sheets. 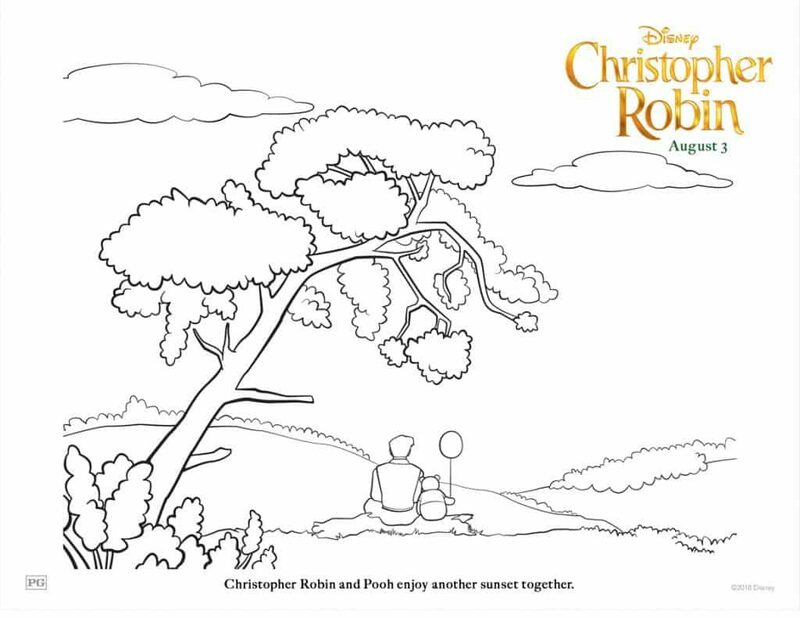 Feel free to print them for your own family and hey, why not have a coloring party together? Pooh: What day is it? Pooh: OH. My favorite day. Just click each image to open and print the pdf. Was this review helpful? Feel free to share and save for later!